What happens when an editor of a technical biology journal decides, along with others, to publish the first peer-reviewed technical article that casts doubt on Darwin and lays out the evidence for an intelligent designer? In the case of Richard Sternberg, a Smithsonian research associate and former managing editor of the independent journal called the Proceedings of the Biological Society of Washington, it meant being cast out of the prestigious Smithsonian Institution in Washington, D.C. Shortly after publishing the article ‘The Origin of Biological Information and the Higher Taxonomic Categories,’ senior scientists at the Smithsonian Institution lashed out at Sternberg, calling him a ‘shoddy scientist’ and a ‘closet Bible thumper,’ according to a Washington Post article (August 19). In August 2004, news agencies around the world reported on the controversy as Sternberg came under intense scrutiny and even persecution for publishing the article written by Stephen Meyer, a Discovery Institute fellow. ‘I was singled out for harassment and threats on the basis that they think I’m a creationist,’ Sternberg said in a Washington Times article (February 14, 2005). Now, the incident is back in the international spotlight with the yet-to-be published report by an independent USA agency, the Office of Special Counsel. This group, which investigates cases of federal government employees who feel they have been unfairly treated or dismissed, reached the same conclusion—top scientists at the Smithsonian’s National Museum of Natural History (where the Proceedings is published) retaliated against Sternberg by investigating his religion and falsely labeling him as a creationist, as reported by the Washington Post (August 19). 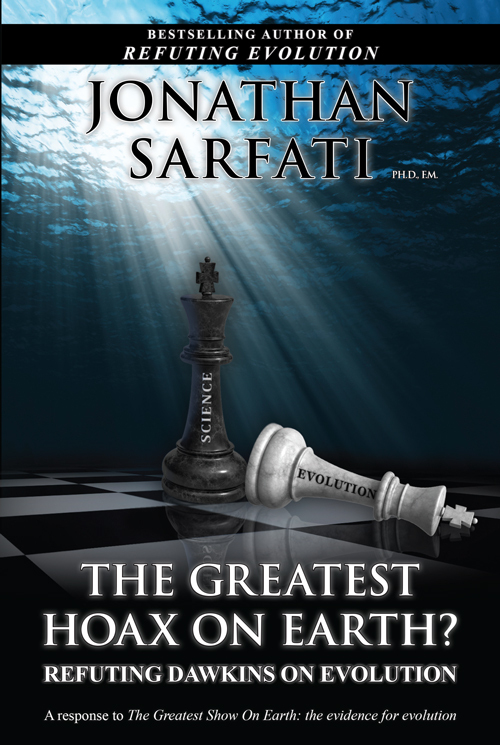 However, according to an article in the UK’s Independent (August 20), Sternberg insists that he is agnostic about intelligent design, is not a young earth creationist and believes that science only moves forward on controversy. As reported by the Post, although Sternberg holds two PhDs in theoretical biology and molecular evolution, some Smithsonian scientists disseminated so much false information about him and his credentials, James McVay, the legal adviser in the Office of Special Counsel wrote in his findings, that one of his colleagues had to circulate his résumé simply to dispel the rumor that Sternberg was not a scientist. Our preliminary investigation indicates that retaliation [against Sternberg by his colleagues] came in many forms. It came in the form of attempts to change your working conditions ... . During the process you were personally investigated and your professional competence was attacked. Misinformation was disseminated throughout the SI [Smithsonian Institution] and to outside sources. The allegations against you were later determined to be false. It is also clear that a hostile work environment was created with the ultimate goal of forcing you out of the SI. Furthermore, according to the Post (August 19), the special counsel accused Darwinian lobbyist group, the National Center for Science and Education (NCSE), of orchestrating attacks on Sternberg. Eugenie Scott, the group’s executive director and herself a vocal anti-creationist, insisted that Smithsonian scientists absolutely had to explore Sternberg’s religious beliefs. ‘They don’t care if you are religious, but they do care a lot if you are a creationist,’ Scott said in the Post article. Ironically, a frequent criticism made by the NCSE has been that scientists who support intelligent design don’t publish peer-reviewed articles and don’t make their case at scientific conferences. When an article, which is peer-reviewed, appears, then the NCSE objects. Where’s the evidence—where’s the science? So, where’s the science in all of this? Why is there so much name calling and game playing instead of having an open debate on origins? Ham, who recently visited the Smithsonian Natural History Museum in Washington D.C., remarked about the changing storyline of evolution he witnessed firsthand. 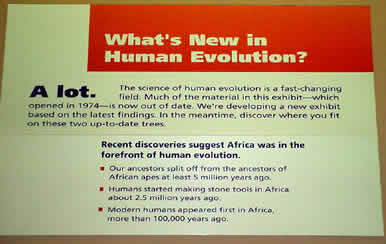 Several signs in the Human Evolution exhibit provided proof that evolutionists frequently change their ideas as to how man supposedly evolved over time (see picture, right). One sign admitted that much of the original material on display is now out of date and will soon be replaced by a new exhibit. Why is there such an emotional reaction when someone dares to allow people to even consider that there could be an intelligence behind the origin of the universe? As one who has been on the front line of this battle for many years, Ham knows it comes down to a spiritual battle. As many scientists have noted, sooner or later the design issues will have to be debated in a reasoned manner. 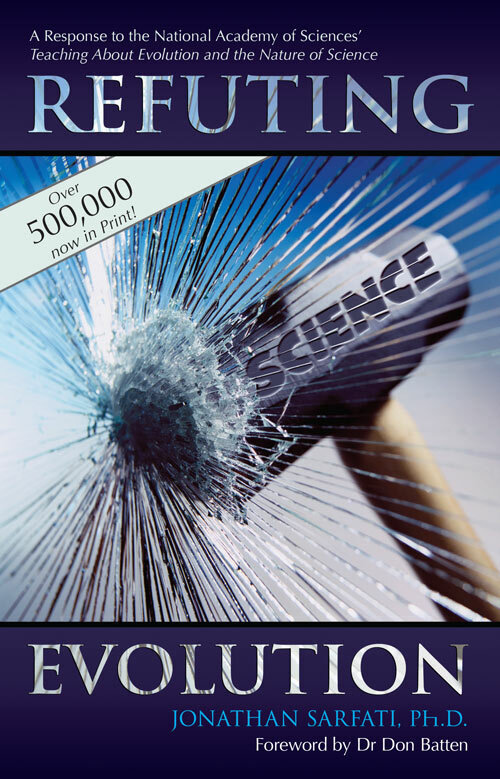 But the bigger question is this: will the evolutionists be able to stop themselves from being the first to cast their stones in order for truth to prevail and for science to move forward? Only time will tell.